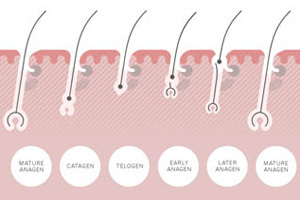 Hair cells are the 2nd fastest growing cells in the body (2nd only to intestinal cells). However, hair is a non-essential tissue, so your body will never send nutrients its way if another part of you is lacking. Hair needs a mixture of both vitamins and minerals to grow. Biotin is one of these essential vitamins. Biotin is a member of the ‘B-Vitamin family’. It is also known as Vitamin H - the "H" being derived from the German words for "hair" and "skin"! It is a water-soluble vitamin, meaning your body cannot store it, and therefore it should be consumed every day. Biotin is found in small amounts in a range of foods including, egg yolks, liver, and yeast. Biotin is important because it helps your body break down other nutrients, like carbohydrates, fats and amino acids (proteins) – the building blocks of hair. Biotin therefore supports healthy hair growth and research has shown that it helps reduce hair fall in certain individuals. Biotin deficiency can cause hair loss and, in extreme cases, loss of hair colour. It is preferable to obtain biotin through your diet, rather than supplements. 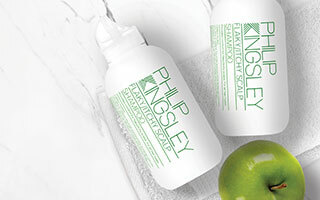 However, a combination of both supplements, such as Philip Kingsley TRICHO COMPLEX, and a healthy diet, is best for encouraging re-growth of hair when loss and/or thinning is an issue. When taken with Zinc, this benefit has been shown to be even greater.